Published on Tuesday, April 5, 2016. 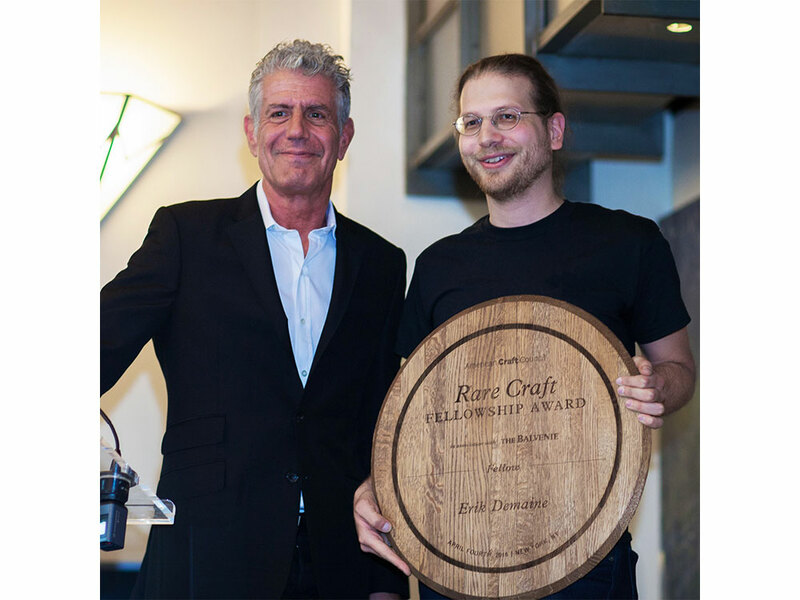 Congratulations to Martin and Erik Demaine, the recipients of the 2016 American Craft Council Rare Craft Fellowship Award in association with The Balvenie. Each year, we recognize four finalists and one Fellow, who contribute to the "maintenance and revival of traditional or rare crafts in America." The Demaines are paper artists from Cambridge, Massachusetts. You can see and learn more about their work in this feature in American Craft magazine. In a luncheon at Eleven Madison Park on April 4, the honorees were all celebrated and the fellowship was awarded to the Demaines. 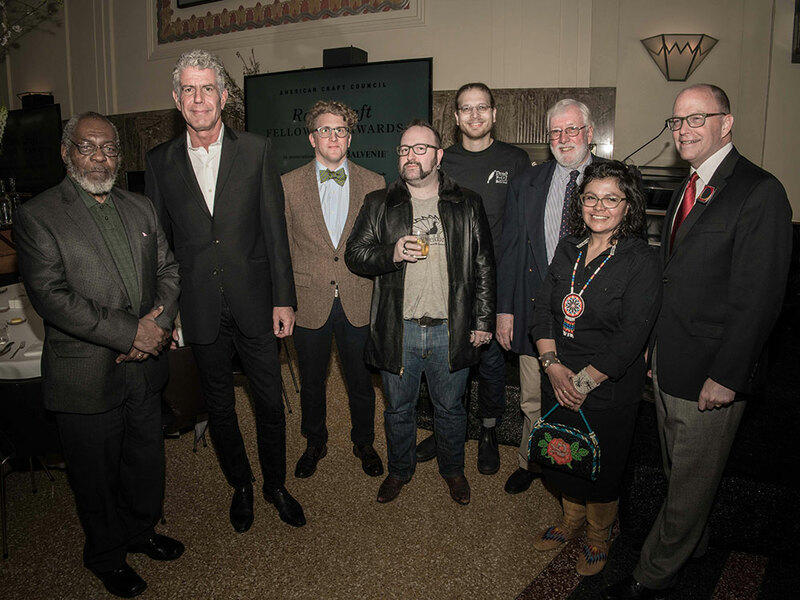 This year's finalists were coppersmith Stephen D. Bradway (Rio Grande, New Jersey), beadworker Teri Greeves (Santa Fe, New Mexico), ceramist David MacDonald (Syracuse, New York), and bicycle builder Erik Noren (Minneapolis, Minnesota). 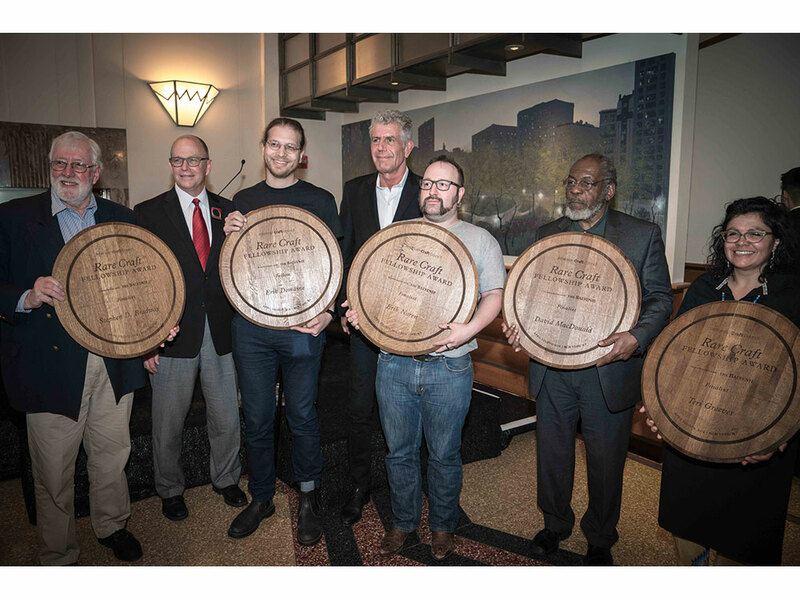 This year's jurors were author and television producer Anthony Bourdain (lead juror), The Balvenie’s malt master, David Stewart, and ACC’s former director of education Perry Price. For more about the awards, read the press release.